"Implementing or Upgrading SAP? 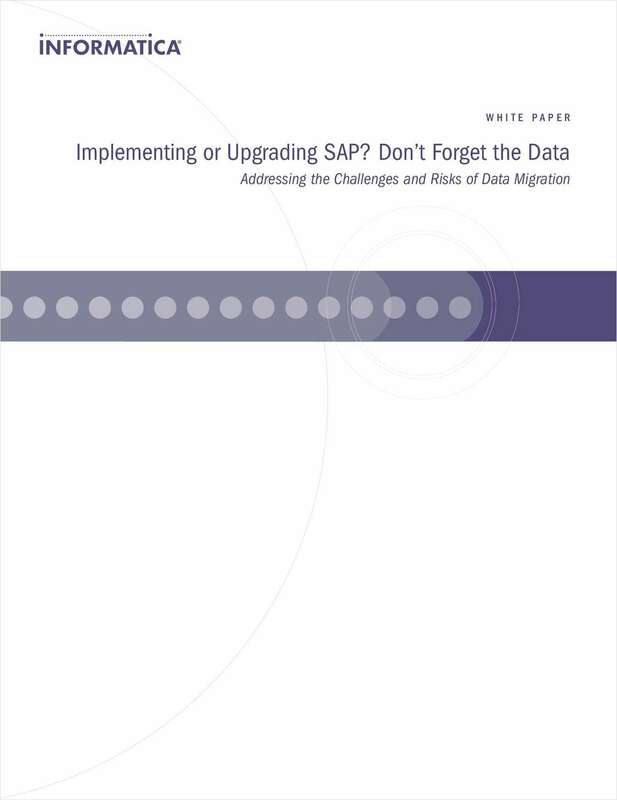 Don't Forget the Data: Addressing the Challenges and Risks of Data Migration"
Free White Paper: "Implementing or Upgrading SAP? Don't Forget the Data: Addressing the Challenges and Risks of Data Migration"
The successful implementation of mission-critical SAP enterprise applications requires a mission-critical approach to data migration. Data migration is not just about moving the data into SAP; it's about making the data work once within SAP. By submitting this content request, I have legitimate interest in the content and agree that Informatica Corporation, their partners, and the creators of any other content I have selected may contact me regarding news, products, and services that may be of interest to me.